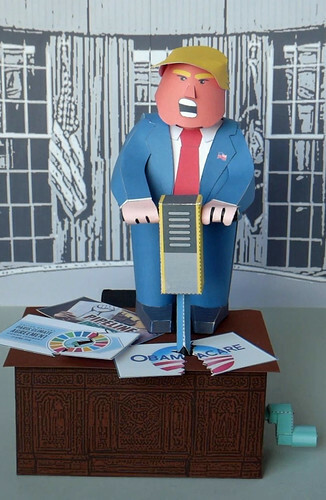 Love him or hate him you’ll love this tremendous model of Trump I just published on the Instructables website. 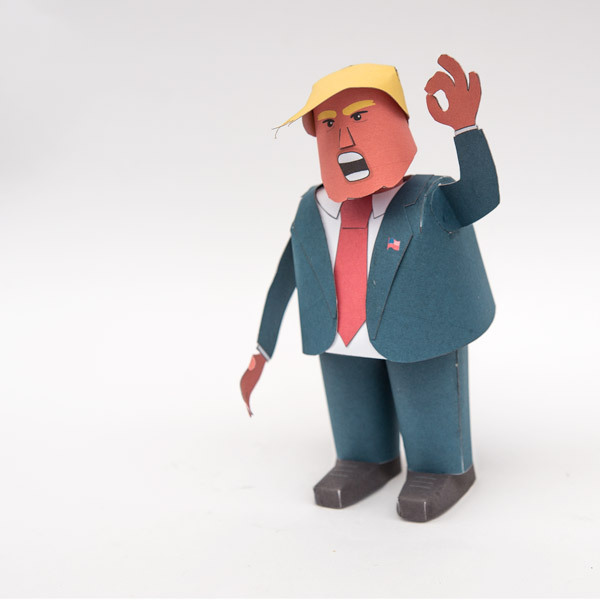 This tremendous paper model of Trump I have made in a short animation movable. Nice! Now we need to design a big WALL to accompany this figure to protect us all from his dilusional behavior and actions!! The hands are too big!!! 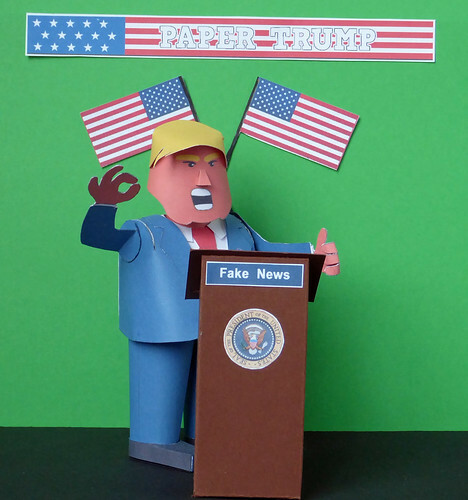 For all friends of paper automata that have not seen it on Facebook or youtube. I have combined both models into one model. Relevant these days! I sent him sailing. Unfortunately, shortly after this video Trump decided to take a swim. It did not end well.